Is there a more enjoyable time to spend outdoors than spring? Colder weather is behind us and everything is suddenly brighter and full of life. The trees are green, the grass is growing, and all your foliage is coming back. It’s a beautiful time of year, and it’s also the time of year you should look into painting your home’s exterior before the heat of summer is here in full force. You know it’s time to paint your home’s exterior when you see these signs. If you notice your paint is peeling, you may not think it’s that big of a deal. It’s outside where the temperature can take a drastic turn in a matter of hours, the sun beats down on it, and everything changes significantly. It’s totally normal, right? It’s actually something to pay attention to. 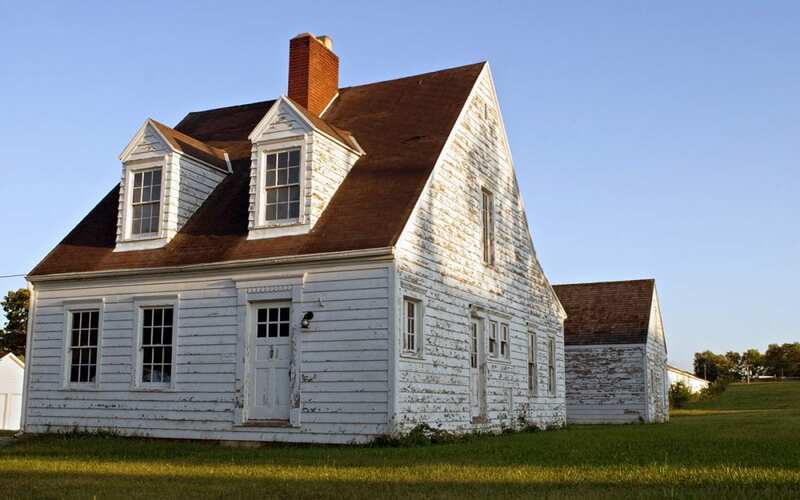 Peeling paint is one of the most noticeable signs it’s time to paint your home’s exterior and protect your house. It only gets worse as moisture, heat, and sunlight attack it. That one small area soon becomes a large area you can no longer control. Your house paint can take a lot considering how much time it spends in the direct sunlight. However, faded paint is a major sign it’s time to paint your home. For one, it’s not attractive when the paint on the exterior of your home fades significantly. It might even be different colors in different areas of the home depending on how much sun exposure it receives. Faded color is unattractive, and it can make your home look dull. The only way to bring the color of your home back to life is to give it a fresh coat of paint. The exterior of your house is going to be dirty at times. It needs a good pressure washing every six months or so, but there will come a point when pressure washing the paint doesn’t do anything to it. This is when you know it’s time to paint your home. When dirt, stains, and grime no longer wash right off the exterior of your home, it’s time to paint over it with a fresh coat. To maintain your new coat of paint, it’s helpful to clean the paint at least twice a year. Fall and spring are the best times to get outside with a pressure washer and give your home a facelift. Your paint does more than make your home look pretty. It also keeps the home safe. If your paint is cracking, it means it’s no longer protecting your stucco and your siding. It’s time to paint it so that it’s not so open and exposed to the elements. You can paint your home yourself, or you can hire a professional painter to come in and paint the house for you. The choice is yours, but it’s one that does make a significant difference in the overall look of your home. Most homes require a new coat of paint every ten years or so, though some paint can last a lot longer and some homes are less exposed to the elements and don’t require a new coat as often. If you know it’s time to paint your home’s exterior, be sure you notify your homeowner’s association, if you have one, with any new colors you’d like to try and be sure you have it approved. Once it’s been approved, you can paint your home the colors you love. You’re going to be amazed how much a coat of paint can change your home for the better. Hub City Home Inspections is a full-service home and commercial property inspection company based out of Hattiesburg, MS and serving the surrounding area. Contact us to schedule an inspection in South Mississippi.